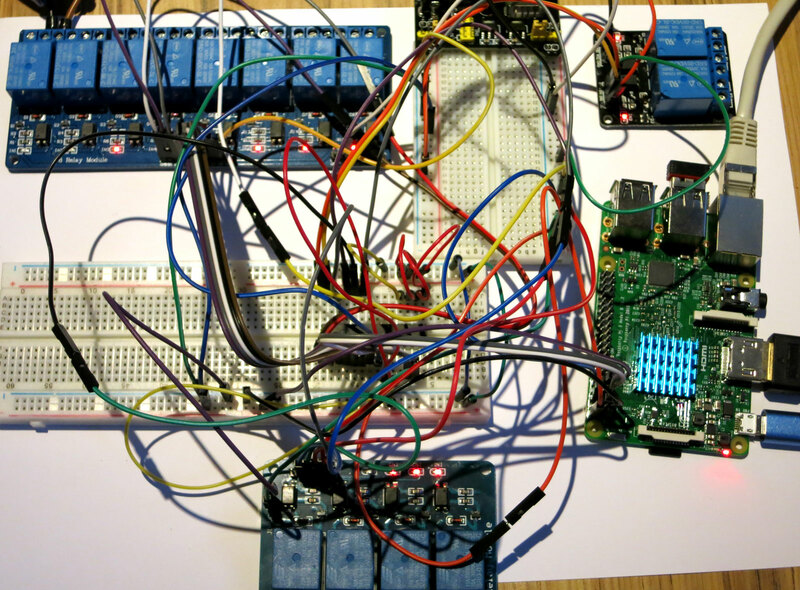 In this example we connected a Raspberry Pi 3 with 3 relay boards via MCP23017 I2C port expander and switch the relays. 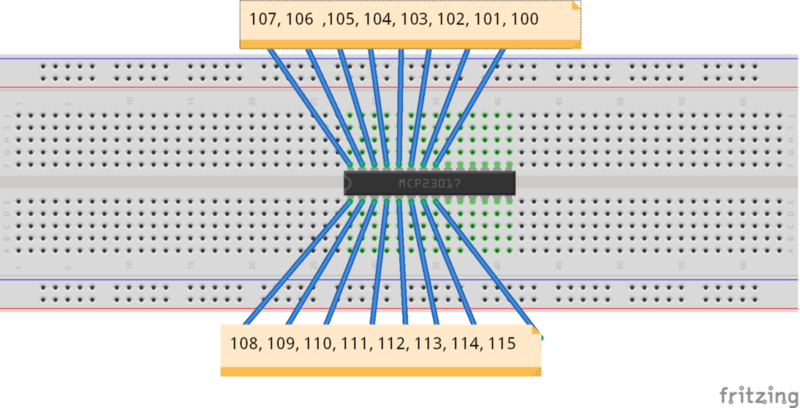 You can control 16 relays via MCP23017. Via the I2C port of the Raspberry Pi you can control up to 8 MCP23017 (you can assign 8 different addresses to the MCP23017). So you could easily control 128 relays. The Raspberry Pi does not have enough power to switch 16 relays !! An additional power supply must be connected. We have connected an additional breadboard power supply. To control the relays with the Raspberry Pi via a port expander MCP23017 must be activated on the Raspberry Pi I2C. 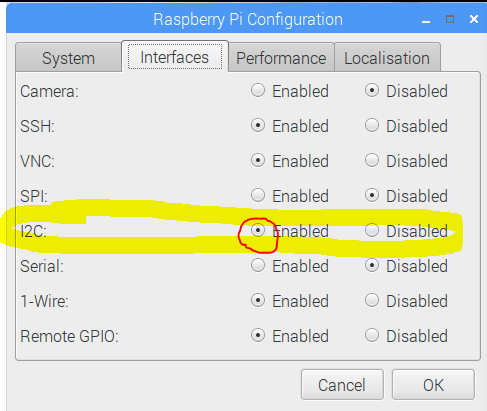 This can be done by the raspi-config by command line or via the desktop Raspberry PI Configuration. The software WiringPi must be installed. Is already installed in the standard case with current images for the Raspberry PI (Y2017). 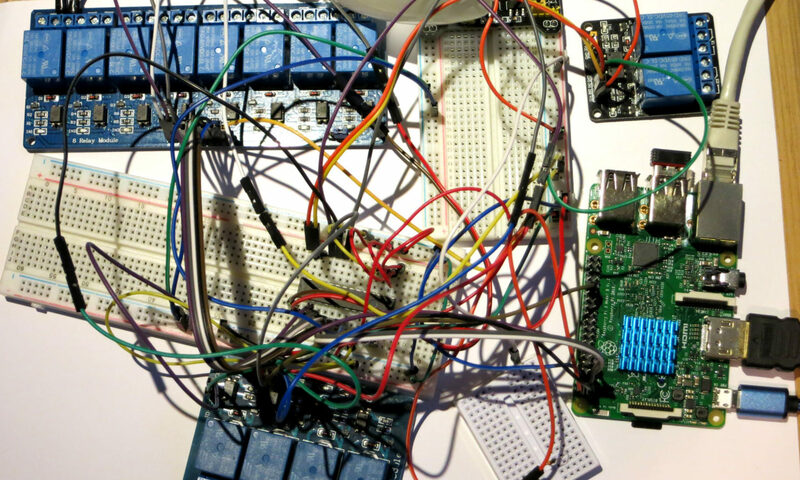 The layout Raspberry Pi with I2C port expander MCP23017 and 12 relays. We do not describe here the exact pin assignment, which pin from where to where. Everyone can inform themselves, if he wants, which pin has which function. We have only basically the GPIO 3.3Volt and the 5V current voltage separately. It is recommended several times. It should also be noted that this layout works only over very short distances, because there is still no ULN2803 in between. This layout will be shown in a different manual. If you have plugged the cables on the port expander MCP23017 as on our plan, the MCP23017 has the address 20. As seen in the figure, the system has found a device with address 20. 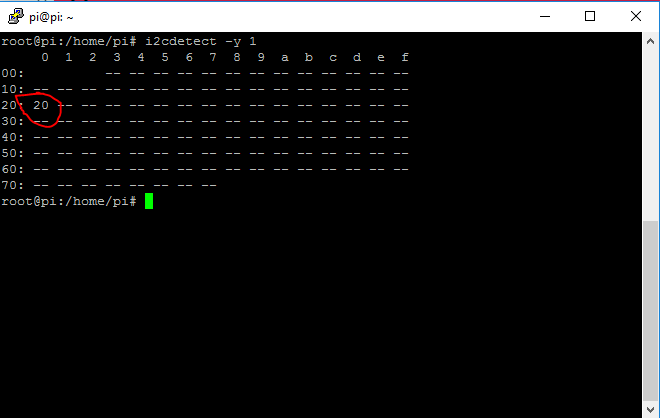 There are now various possibilities and commands to address the new GPIO ports via the MCP23017. 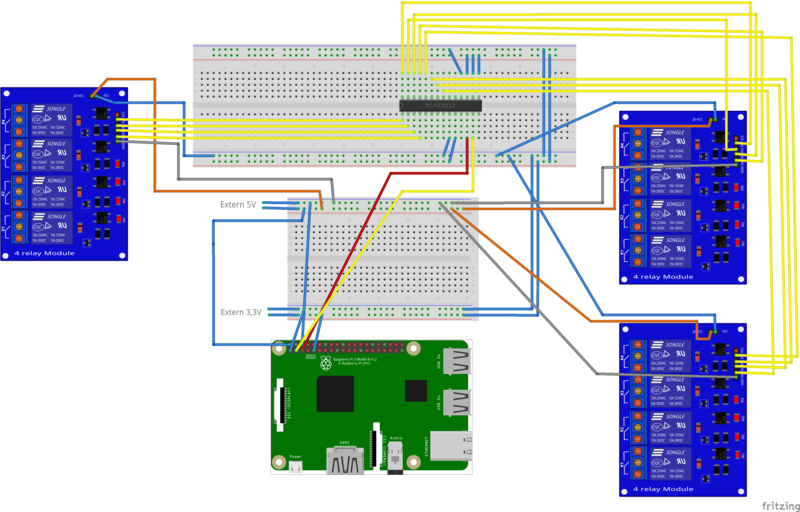 Easy Way: Or you can control each individual pin with a number with the gpio command. Mode = the mode of the pin is determined in or out. The most common error source is the wrong GPIO pin number. Here the numbering. Please note, this is the top view as on the breadboard! The circuit diagram is mirrored! The GPIO pin numbers start at 100 because we gave the GPIO -start address 100 to the mcp23017, which has address 20. So the same pin, which first had the number 108, would now have the number 208. Hope this gets to you, I am trying to install the node and I can’t get it to install. I will admit I’m a noob with Linux. Is it possible for you to help me pls if you don’t mind? how do i use the command within a program??? my aim is to have two “mcp23017’s” controlling two 16 channel relays”. i’m trying to make a water feature in my garden with 3 sets of coloured lights RED, GREEN, BLUE eight of each colour and eight waterjets to control water flow. each water jet will have a RED,GREEN and BLUE light. whichever water jet comes on (chosen at random) a random light will come on.